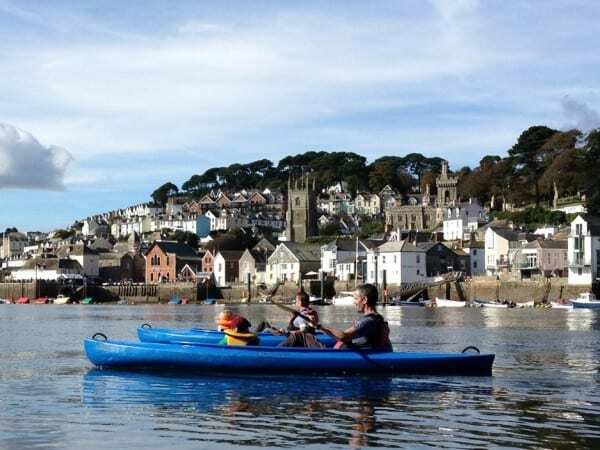 Fowey not only lures the romantics to meander along it’s winding streets, but the active and adventurous are also drawn to our sparkling river and steep hikes. If you’re not sure where to begin your active getaway in the great Cornish outdoors, we’ve put together a list of our favourite pursuits, both on and off shore. If you head half an hour north west, you’ll find yourself at Cornwall’s very own Adrenline Quarry. Home to the self proclaimed “UK’s Maddest Zipwire” and a swing the flies you 160 feet over a cliff, this is one adrenaline junkie’s paradise not to be missed. Their coasteering sessions are fun and challenging but without the hassle of waiting for the right tides and weather. 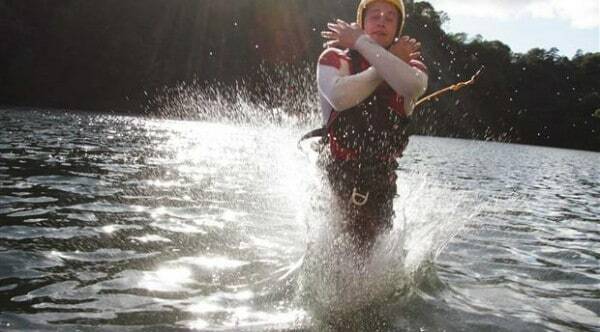 Prices start at £30 for fresh water coasteering – advanced booking essential! Whether you’ve got the family in tow or want to hit the hard trails, the new cycle trackss at Lanhydrock have something for everyone. Graded from green to red – just like in a ski resort – there are trails for the beginner to the enthusiast. Lanhydrock also has a bike rental service, so there’s no need to drag your bikes all the way down to Cornwall with you! When you’ve worn out those tyres (and family), be sure to stop in the Park Cafe for a slice of cake and cup of tea. The Hall Walk, starting on the other side of the river in Bodinnick and ending in Polruan is a true stunner of a trek. Armed with your trusty walking boots and a camera, start your afternoon by boarding the Bodinnick Ferry and lazily chugging across the water. The walk begins with a hop onto dry land (maybe a cheeky drink in the pub) and a walk up a steep hill past quaint houses and a thatched church. Follow the signs for the coast path and enjoy stunning views of the goings on of the estuary. Be prepared for a steep incline when you make it to Polruan – the coast path suffered a landslide and the route now leads you up into the village before dropping back down to the harbour. If you’ve spent your days in Cornwall using up all your energy cycling, hiking and kayaking, take some time out to sit back and relax. If you fancy a quiet day floating on the river and want to let someone else do all the hard work, book an afternoon with Fowey River Cruises or on the Fowey Picnic Boat. Take a quick spin around the estuary, spend the day visiting other ports along the coast or simply watch the world go by whilst tasting the local seafood. Does it get much better than that? We offer excellent dining in a relaxed, unstuffy setting. Forget unsmiling waiters, small portions and whispered conversations, dining here is all about fun and enjoyment – quality local produce features heavily on the menu of our Mediterranean-influenced dishes, prepared using classic techniques. Our wine list, hand-picked by Britain’s youngest Master of Wine, is pretty good too …The bright restaurant leads out onto a spacious terrace where on a sunny day you can enjoy afternoon tea (the Cornish way of course, jam first! ), a pre-dinner glass of fizz, or a long, lazy lunch. It’s a great spot to watch life on the estuary unfold, from boats of all shapes and sizes to the local wildlife which includes resident swans and the occasional dolphin. (Easter to September) telephone the restaurant to confirm opening times all other times of the year. 48ft gentlemans classic yacht ‘La Caniche’ is available to charter for up to 14 people. The nearest train station to Fowey is Par (4 miles). We recommend pre-booking a taxi if arriving by train.